But there you go. And you guys will help me be held accountable. Every day, I will post either a paragraph from the page I wrote (if it’s from one of my WIP’s), or the entire thing (if it’s just a short piece). I will still be doing Sharing Saturday as well, sothat’ssomething to look forward to, I guess? We shall see. 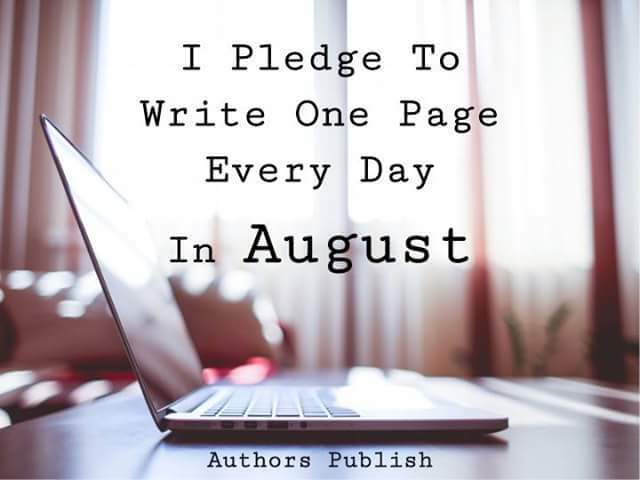 At any rate, the pledge is open to anyone, so feel free to join.